Fighting digital commerce fraud is an unrelenting challenge for all merchants that do business online. To put it bluntly, it’s revenue protection. Chargebacks resulting from approved fraudulent orders cut into a firm’s bottom line in many ways: the replacement cost of the goods or services purchased, the actual dollar amount of the refunded transaction, and the chargeback fee levied by the merchant’s payment processor. To minimize these chargeback costs, e-commerce merchants have adopted all sorts of fraud prevention measures. From investing in time-consuming manual reviews to consulting shared blacklists, e-commerce companies are constantly looking for the best way to reject every fraudulent order while approving all legitimate ones. The reality, however, is that merchants are actually declining lots of good orders (also known as “false declines”) while thwarting only some of the fraudulent ones. This is a real problem, considering that, just like chargebacks, false declines cost businesses in several ways. The customer acquisition cost becomes squandered. The value of the blocked transaction never becomes revenue. The customer never comes back to that merchant for repeat business after being mistaken for a criminal. Given their low effectiveness and high costs, current fraud prevention solutions are the medicine which is worse than the e-commerce fraud illness. In fact, according to Business Insider, the false decline losses due to these measures incurred on US e-commerce firms were $2 billion more than the actual fraud those very same measures were designed to stop. Although new e-commerce fraud prevention solutions have recently become available (such as those put forth by Riskified), the travel industry currently faces vexing hurdles when it comes to fighting fraud. Much of the problem stems from the highly competitive nature of the industry, as it is composed of many direct competitors in every segment: air travel, lodging, rental vehicles, travel agencies, etc. There’s only one source for genuine Louis Vuitton purses, but there are a dozen airlines that can get you from Raleigh to Rome, any of which you can use to book tickets in a matter of minutes. This has consequences for digital fraud prevention, since a falsely declined customer almost certainly winds up doing business with a competitor—perhaps even staying with them. As a result, there’s immense pressure to approve and confirm digital orders and, due to the real-time pricing of travel products, do so as quickly as possible. Such constraints don’t allow for the time-consuming process of manual order review. Meanwhile, the pressure to reach approve/decline decisions rapidly means businesses in the travel industry will opt to decline orders that appear questionable, resulting in many false declines and lost revenue. Now, combine hurried decision making, and overly risk-averse fraud prevention policies with very limited data upon which to make a decision. Travel products purchased online often don’t have shipping addresses against which to check the credit card information, a common and sometimes useful indicator of the legitimacy of an order. Fraud prevention systems and analysts are missing a data point other industries usually have, which makes their job harder and thus even more prone to false declines. The already difficult task of containing e-commerce fraud losses while protecting revenue, combined with the specific challenges of the travel industry, underscore the inadequacy of commonly used fraud prevention tools like manual review of questionable orders, software fraud filters driven by rules, blacklists, and blanket limits provided by card issuers or financial institutions. All of these increase operational costs, result in poor customer experiences, needlessly turn away legitimate customers, and lose revenue by rejecting good orders. The travel industry’s continued reliance on these underperforming tools are why the indirect costs of fraud (higher operating expenses for manual review, lost business to competitors, false declines) are so high, and are such a large chunk of the total fraud cost. And that total fraud cost is rapidly growing. Just consider that a 2017 analysis by eNett forecasted that global total fraud costs for online travel agencies (OTAs) will increase by 24 percent from 2017 to 2020. That prophecy doesn’t have to be fulfilled. 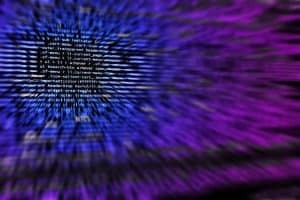 Advanced machine-learning-based solutions for preventing e-commerce fraud (such as those offered by Riskified, a data and technology company founded in 2013) are an effective way to combat both the fraudsters themselves and the mountains of wasted indirect costs businesses are spending to stop them. Machine learning is a branch of artificial intelligence (AI) which includes algorithms that enable computers to learn from data by finding patterns and connections, construct statistical models from the data which generate predictions, and most importantly update those models to reflect the agreement of those predictions with the data. By feeding such algorithms large amounts of historical data on known legitimate and fraudulent orders, they can be trained to accurately spot a fraudulent order much like a trained human analyst would, except the algorithm would do so in a fraction of a second. Because these new fraud prevention tools are continuously learning from current e-commerce order data, they adapt far more quickly to the evolving tactics of fraudsters as well as to the changing order habits of legitimate shoppers. By providing fast, frictionless, and accurate fraud decisions, machine-learning-based solutions reduce chargebacks while at the same time dramatically decreasing false declines—all without the costs of the ineffective solutions, which can now be eliminated, resulting in substantial operational savings. In the hyper-competitive and fast-paced travel industry, this can really help a business take off.